Pag-IBIG members can now conveniently do business with Pag-IBIG Fund for their housing loan-related transactions, through the Pag-IBIG Fund website, www.pagibigfund.gov.ph. up its electronic processes, as it supports President Rodrigo Roa Duterte’s directive to ease the processing challenges of its transacting public. In a statement, Florencio O. Galang, Jr., Officer-in-Charge of the Office of the Vice President for Public Relations and Information Services Group of Pag-IBIG Fund, said that Pag-IBIG has online facilities for the housing transactions of Pag-IBIG members. OHLA works like an appointment schedule system. Members who lodged their application online are still required to bring the complete requirements at their designated Pag-IBIG offices on their scheduled date. They will be given priority through a dedicated window for online applicants. Another system for developers called Developers' Online Housing Loan Application (DOHLA) is also available and works just like OHLA. According to Galang, Pag-IBIG members can expect further improvements from these services. "Some enhancements for the online services are in the works. More than an appointment scheduler, we hope to provide efficient, convenient, and complete online housing loan transactions to our members," he said. The COC is an electronic copy of the details of the housing loan borrower's coverage for Mortgage Redemption Insurance (MRI) or Sales Redemption Insurance (SRI). It may be downloaded and printed directly from the Fund's website. The MRI and SRI secure the full payment of the housing loan in case of death or permanent disability of the borrowers, provided that they are updated in their monthly amortization payments. "The COC confirms the borrower’s insurance coverage which is renewable every year. It also contains important information about the policy, such as the name of the insurance company, the amount of insurance, the policy period, and the plan of insurance," Galang explained. A very small fraction of the monthly amortization of a housing loan borrower goes to the payment of MRI or SRI. Eligible housing loan borrowers may get a copy of the COC by visiting the Pag-IBIG website. 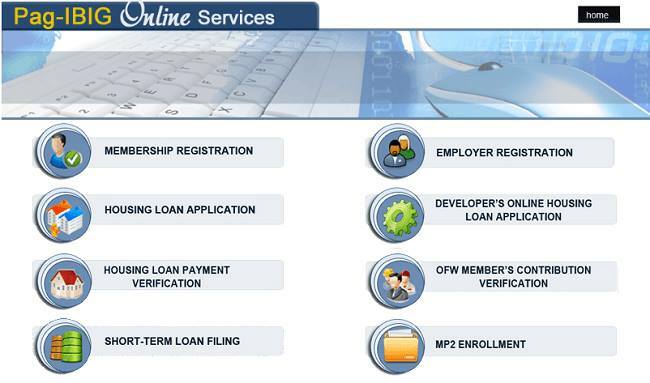 Just click the "e-services" icon, log-on using the housing loan account number. Then print or view the COC as desired.